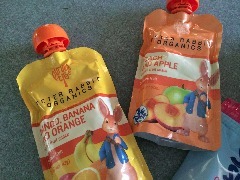 Looking for some clean treats this Easter for your little ones (or let's face it, for yourself)? Here's a sampling of what will be in the May's Easter baskets come Sunday morning. I mean, everyone needs a peanut butter cup in their Easter basket right? 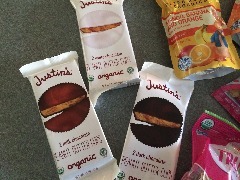 These just so happen to be delicious AND organic! 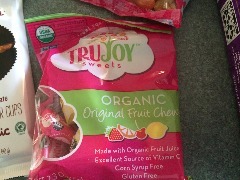 Since going clean, TruJoy Organic Fruit Chews have been my go-to candy of choice. 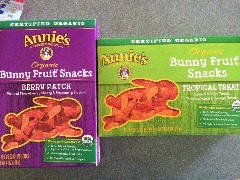 They are the tasty organic alternative to starbursts. 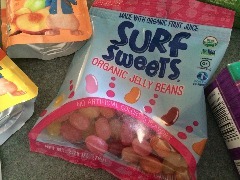 I haven't tried these yet, but Jelly Beans are a must on Easter, so I will let you know! I have been a fan of these for years (and so has Tucker). Bonus: Peter Rabbit's picture is on it, I guess you could call him the "Easter Bunny". Can't have enough bunnies on Easter! Tucker loves these! I personally prefer the texture of the TruJoy Organic Fruit chews to these, but none the less, they will make a great addition to the Easter basket. 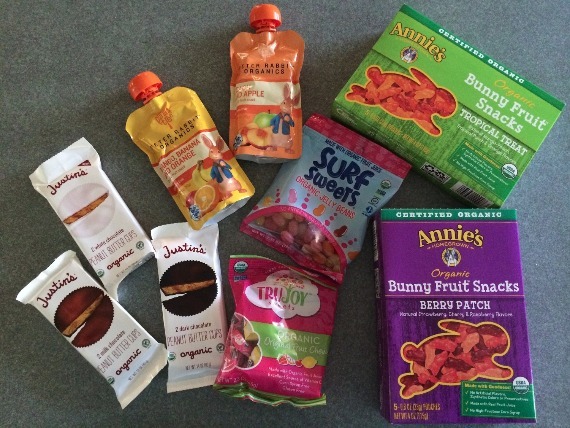 Way back in October, I talked about some fun non-candy items to give out to trick-or-treaters. 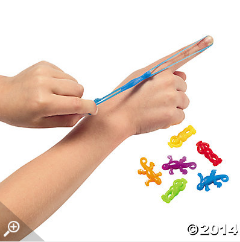 Well, it just so happens that I have some more of these slimmy shooter critters to put in Easter eggs this Sunday. This was a recipe (also called Resurrection Rolls) I found on pinterest a few years ago, and now it has become an Easter Tradition in the May house. This year I made them clean using Immaculate Baking Company Crescent Rolls and Dandies Vegan Marshmellows. Hey, even on Easter, where there's a meal, there's a way!